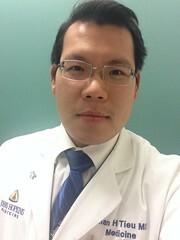 Alan H. Tieu, MD, from the Department of Medicine, Division of Gastroenterology and Hepatology, The Johns Hopkins University School of Medicine, Baltimore, Maryland presents this video case. Therapy for symptomatic epiphrenic diverticulum typically involves surgical myomectomy or diverticulectomy with high morbidity. We demonstrate a purely endoscopic technique for the management of a large symptomatic epiphrenic diverticulum in the context of idiopathic achalasia. A 60-year-old female presents the management of achalasia (subtype I) with a large epiphrenic diverticulum on EGD. A 2-stage endoscopic approach was developed. First, a peroral endoscopic myotomy (POEM) was performed. Then, the patient underwent endoscopic creation of a fistula from the esophageal diverticulum to the gastric fundus. A lumen opposing metallic stent (LAMS) was deployed creating an esophagogastric anastomosis. An EGD was performed at 3 months with removal of the LAMS. At 6-month follow-up, the patient remained symptom free. This novel technique successfully minimizes the epiphrenic diverticulum and can be feasibly performed by endoscopists with training in advanced endoscopy. Figure 1. Two-stage endoscopic approach for the management of a large symptomatic epiphrenic diverticulum in the setting of achalasia. A, Upper GI series depicting a large epiphrenic diverticulum (right arrow) above the contracted lower esophageal sphincter (left arrow). B, Endoscopic view of metallic stent deployed through the newly created esophagogastric fistula (blue arrow) within the epiphrenic diverticulum and esophageal lumen (yellow arrow). Endoscopic approach for the management of a large epiphrenic diverticulum by creating an esophagogastric anastomosis with lumen opposing metallic stent (LAMS) from esophageal diverticulum to gastric fundus may be most suitable for elderly patients with comorbid medical conditions limiting surgical intervention. Future studies are needed to evaluate-long term efficacy and safety of endoscopic approach versus traditional surgical approach. Peroral endoscopic myotomy (POEM) and endoscopic creation of esophagogastric anastomosis require a thorough knowledge of esophagus anatomy and location of epiphrenic diverticulum, well-experienced endoscopic skill, and understanding of basic surgical principles.